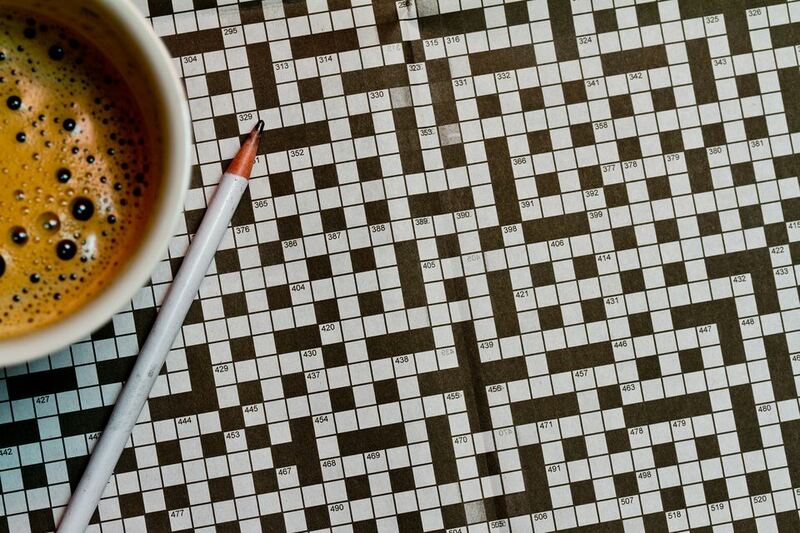 The history of crossword puzzles goes back over a hundred years ago when Arthur Wynne published his 'word-cross.' He could not have possibly imagined what an incredibly popular pastime crossword puzzles would turn out to be for the puzzling public. His simple, diamond-shaped grid that contained thirty-one words would, no doubt, be rejected by any prominent puzzle publisher today. In December 1913, it gave birth to a puzzling craze that, at its height, wrought publishing empires, ended promising careers and wrecked long-term marriages. People became so obsessed with crossword puzzles that employees were forbidden from bringing them to work. The fad has subsided, but the crossword puzzle remains a daily pleasure for many people and can still be found in practically every newspaper as well as many magazines and newsletters. With the advent of the Internet, the venerable crossword has been adapted to the digital age and is more ubiquitous now than ever before. There are over 500,000 results for "crossword puzzles" in a sixty-second Internet search. Puzzles come in all shapes and sizes, and the world's largest crossword puzzle has over 28,000 clues while the Zen crossword puzzle has two clues and one white square. These puzzles are produced in quantities sufficient to satisfy the puzzler's never-ending appetite for better crosswords with brighter fill and more clever clues. Whereas the pioneers used pencil and grid paper and manually slogged through dictionaries, today there are computer programs which do much of the grunt work when filling a grid. Computer programs rely on word lists to produce an acceptable fill. This is where a comprehensive word list is an invaluable tool for creating a quality puzzle. People tend to dislike clues like "Hindu foot soldier" or "Deep-sea encephalopod." Modern crossword solvers demand lively fill that uses a mix of common, everyday words (with clever clues), popular terms, edgy phrases, popular brand names, and five-star celebrities. A word list needs to be continuously updated and screened for offensive or inappropriate words, such as references to death, disease, sexual or scatological references. The remainder of the words will need to be manually scored so that the program uses the most desirable words first and the more obscure entries only as a last resort. Many constructors have spent a lifetime building top-notch word lists. Fortunately, for the newbie constructor, there are many good word lists on the Internet to get you started. That being said, start adding to and building your custom word lists right away. Over time, they will grow to be an indispensable tool for the making of marketable puzzles. The more word lists that your puzzle software can reference the higher the chance of a satisfactory fill. Once word lists are downloaded to your computer, you can incorporate them into many puzzle creation programs. Be aware that these lists need to be purged of one and two-letter words and screened for anything deemed inappropriate. It is recommended that you score as many entries as possible to maximize the quality of the fill. Generally, the higher the score value, the less desirable the word. Avoid Scrabble dictionaries as they contain too many obscure words (and OSPD has no words longer than eight letters). While there are many free word lists available, it is recommended to use a Gold Membership at Cruciverb.com. This will not only allow you to download some high-quality word lists but also access the puzzle clue database. This handy reference tool lists occurrences and whereabouts of solution words and their respective clues that have appeared in all the major U.S. dailies. For any aspiring crossword puzzle creator, joining the free community at Cruciverb.com will provide you with advice, tips, and tricks from veteran puzzle makers as well as those just starting. Another excellent source for word lists is the Crossword Compiler website. Investing in the Crossword Compiler creation software will give you an enormous leg-up. It is pricey, but also the best program of its kind and worth every penny. A standard, 15x15, American-style crossword puzzle with lively fill.